Noida is a leading friction material manufacturer since 1983. It has technical collaboration with ASK Technica Japan which is the most reputed friction material OE manufacturer. It xports to 20 countries including Germany, Netherlands, Italy, Saudi Arabia, UAE and U.K. etc. . Its present production capacity is 3 million sets. The products of M/s ASK are supplied as OE to all the OEMs in Japan like Toyota, Honda, Nissan, Mitsubishi, and Suzuki etc. for the full range of vehicles from Passenger cars, Utility Vehicles, HCV's, LCV's and Tractors. It has a work force of over 350 employees. Brakewel has a facility to manufacture a wide range of both Non Asbestos and asbestos clutch facing. It was one of the first company to introduce asbestos free clutch facing in India. The group is proud of manufacturing worlds best clutch facings with a Japanese collaboration and is supplying to all major Original equipment manufacturer, or OEM. Brakewel manufactures both Asbestos free and asbestos brake lining and is O.E. supplier to all reputed companies in India. It manufactures brake lining for cars, tractors and brake blocks forlight commercial vehicles, heavy commercial vehicles, overhead cranes, hoist, mining equipments and winches..
Brakewel manufacturers a wide range of brake shoe. Its auto brake shoe are available in both asbestos free and asbestos material. Flexible roll linings are manufactured in both asbestos free and asbestos material. Its auto roll linings are available in both molded and woven material which can be turned to any radius. Brakewel manufacturers a wide range of teeth linings for both asbestos free and asbestos material. It is used in various industrial machines and cranes. Brakewel manufacturers a wide range of Disc pads. Our automotive disc pad is available in both asbestos free and asbestos material. Brakewel manufacturers a wide range of sheet linings in both asbestos free and asbestos material. Brakewel manufacturers a wide range of brake bands in both asbestos free and asbestos material. Brakewel manufacturers a wide range of Disc pads. Its automotive disc pad is available in both asbestos free and asbestos material. Environmental Medicine (ACOEM) was published in 2007 in this very journal. Given the fact that Indian Journal of Occupational and Environmental Medicine is the official Publication of Indian Association of Occupational Health (IAOH), it would also be relevant for it to take a position on it. So far it has maintained silence on the issue. convention, which will require exporting countries to obtain the prior consent of importing countries. the past has come out with studies defending workers' health. dated 19 December, 2006 reads: "The report will be finalised after due discussions with the asbestos industry." Another meeting minutes dated 18 April, 2007 reports that "...the results of the study which was underway could not be shared [with public] till the same was finalised." the pesticide industry in international negotiations. Clearly, a scientific study that is finalised after discussion with the corporate interests is grossly conflict of interest ridden and deserves to be scrapped. It is now time for Indian Journal of Occupational and Environmental Medicine to take note of it as well. asbestos cement industry, consistently ignoring evidence of its harms. Occupational and Environmental Medicine to take note of it as well. First up, another tribute is due to all the people that campaigned and supported the Right To Information Act, 2005. But for this vital legislation, we would have been so much the poorer for not learning what a national disgrace India’s union government’s ministry of chemicals and fertilizers is. Kudos are also due to occupational safety researchers—it is our collective fortune that there are too many to name here—who have battled India’s bureacracy relentlessly to ferret out information on how the ministry’s officials work as the menials of the asbestos industry. The information obtained through an rti application shows the ministry officials stripped of all moral clothing, willingly surrendering all agency to an industry that profits from the death and disease of thousands of poor people. Science has long established—beyond all reasonable doubt—that asbestos is carcinogenic. It kills more people than any other industrial toxin; 40 countries have banned it. Occupational health researchers have been trying for three years to get the mineral listed in the pic (prior informed consent) list of the Rotterdam Convention. This would regulate the international business of this toxin, which is present in numerous products in our daily lives; from asbestos cement sheets to automobile brake linings. The pic listing would create something of an international ‘right to information’ on trade of asbestos, with exporting countries bound to disclose information to importers. The asbestos lobby does not allow cheaper and safer alternatives to be established in the market. Not only are they anti-worker, they are also opposed to fair competition. India, along with Canada and Russia, has played a critical role to thwart a pic listing for asbestos. Canada and Russia are both producers of the mineral, so they are protecting their industry. India is only an importer. What prevents it from adopting an alternative to a mineral that kills so many? The asbestos industry does. While there are alternatives to asbestos, its industry doesn’t see options. It has too much money locked up in white asbestos, or chrysotile. It has no plan—intention even—to switch. So, in 2006, it got the Indian government to play a dirty game in international negotiations. Subsequently, the government felt a pressing need for scientific evidence to back its diabolical position. A study was commissioned to a government agency with a reputation, the National Institute of Occupational Health. The ministry’s review committee gave it specific instructions on the ‘scientific output’ required of the study. Now, the committee has called the services of a lobbyist known to defend the interests of industries that profit from hazardous chemicals. There are very few stories with such obvious villains. And such heroes as our health researchers. The recent UN statistics indicates that India imported roughly 306,000 MT of asbestos in 2006. Out of which 152, 820 MT was imported from Russia. The rest came from Canada,Kazakhstan and Brazil. "Asbestos is a threat to everyone, not just workers. From children in schools, to young and old in private and public buildings where asbestos is present and to whole communities where it exists as a pollutant". Perversely, the extent of the damage in industrialized countries is now being measured only after consumption has been slashed or halted altogether. This is because of the long latency for the development of asbestos-related cancers. Generally, the mortality curve for asbestos-related cancers follows the asbestos consumption curve with a lag of about 30 to 40 years. In Europe, the mortality peak will be reached only around 2020.
even declared bankrupt in 1997, only to resume its activities afterwards. approach to the asbestos issue. 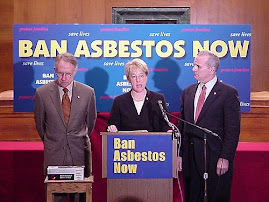 The struggle by world trade unions and victim support groups to get asbestos banned is sometimes portrayed as the product of a trade war waged with “the deep pockets of transnational trusts”. The pro-Russian asbestos lobby claim that it holds relatively little danger for health. With the same arguments coming out of Canada, Zimbabwe and Brazil, asbestos victims must count themselves really unlucky not to have been exposed just to these pure national varieties of chrysotile. The Russian authorities continue to deny the health havoc wrought by asbestos. This rose-tinted view is challenged by the ﬁgures from Eastern European countries that imported Soviet asbestos almost exclusively. asbestos pollution of the environment. Still, Russian government's position remains caught in a time warp. Quebec, home to Canada's only two asbestos mines, has one of the highest rates of mesothelioma — an asbestos-related cancer — in the world. The Canadian government believes asbestos is safe if handled properly and has spent nearly $20 million in the past two decades to promote exports of the mineral, almost all of it going to developing nations for use in construction material. But Georgetti argued any appeal by the Canadian Labour Congress(CLC)wouldn't immediately end the practice of asbestos mining in Canada. He called for the federal government to take a lead role in closing the mines, including providing financial support for the miners, and their families and communities when the industry finally ceases production. "If they did that, the decision for our council would be very easy," he said. Last week, the All India Trade Union Congress, the second largest union in India, appealed for help from Georgetti and the CLC in urging the Canadian government to stop exports of Canadian asbestos to India, calling the mineral "a major killer." Roughly 97 per cent of Canada's production of asbestos is exported — mostly to developing countries including India, Indonesia and Pakistan. Asbestos has been banned by nearly every developed country, as well as a growing number of developing nations. WHO has estimated as many as 100,000 people around the world die annually from asbestos-related diseases. A February 2008 Confederation of Indian Industry (CII) survey that tracks and records the performance of the manufacturing sector, rated asbestos cement in the high growth category among others. What is not being recorded is the high growth rate of asbestos victims. This is being done in a studied manner as a classic case of Ostrich policy amid reports of 10, 000 asbestos deaths per year in US (approx 30 deaths pr day). As per data released by UN Statistics Division, India imported about 306,000 MT of asbestos in 2006. Of which 152, 820 MT was imported from Russia and 63, 980 MT from Canada. This trend got a boost from Union Finance Minister, P Chidambaram who announced a 15% reduction on custom duties for asbestos in his previous Budget speech. This time around will the Finance Minister undo his wrongs? The rising consumption is a joint result of Finance Ministry’s support and a Made-to-order science that gets exposed by the documents that shows how the Union Ministry of Chemicals, acting in collusion with the asbestos industry, is manufacturing science to back its pre-determined position to fight global regulation on the killer fibre by reiterating that 'controlled and safe use' of white asbestos is acceptable both to the white asbestos industry and the Indian government. It is noteworthy that the Union Health Ministry has informed the Parliament in the past that: "Studies by the National Institute of Occupational Health (NIOH), Ahmedabad, have shown that long-term exposure to any type of asbestos can lead to the development of asbestosis, lung cancer and mesothelioma." But it has now emerged that the asbestos cement industry is the largest user of asbestos in India, which is funding NIOH, the only government agency that is empowered to certify asbestos diseases. Acknowledging the hazards from asbestos, Anbumani Ramadoss, Union Health Minister informed the parliament recently saying, "…regarding asbestos, a lot of poor people use it. As regards the issue pertaining to banning of asbestos, as a health issue, the Government certainly has not taken it up. It is an occupational hazard and people working in the asbestos factories are prone to lung cancer, but we are taking the enormity of the usage of asbestos. Mostly, poor people in the villages use it. Hence, I cannot take a decision on this issue." The enormity of usage is no excuse to expose Indian workers and citizens to this deadly fiber. Without amendment in the existing Import Policy by the Union Ministry of Commerce & Industry for white asbestos, the current asbestos consumption pattern that is fraught with disastrous consequences is unlikely to change. 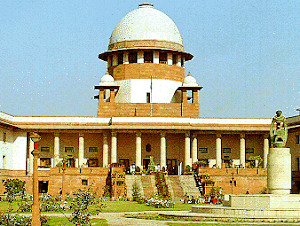 Following a Supreme Court order, the Union Ministry of Labour constituted a Special Committee under Chairmanship of S K Saxena, Director General, Directorate of General Factory Advice Service and Labour Institute (DGFASLI) on the issue of medical benefits and compensation to workers affected by handling of hazardous waste, toxic in nature. The Saxena Committee's report mentions lung cancer and mesothelioma caused by asbestos in all work involving exposure to the risk concerned. The same DGFASLI organized a national seminar on hazards of asbestos in general and “Hazards of Asbestos in Construction Industry” in particular in March, 2006. The seminar was noteworthy for its consistent but discredited submissions about the mythical safe and controlled use of asbestos. In the studies conducted by DGFASLI, Ministry of Labour there are no cases of asbestos related diseases detected in industry at time when asbestos epidemic is hogging headlines in countries like US and Europe! It is obvious from the industry documents that the prices of substitute products and good relations between the chrysotile asbestos fiber suppliers to India like Russia, Canada, Kazakhstan and Brazil continue to provide an economic rationale for use of asbestos fibers. The suppliers have obviated any uncertainty and ensured reasonable stability of its prices to this end and the political decision makers have consistently provided economic incentives to asbestos and asbestos products deprived the substitute products of even a level playing field. The companies involved in the trade and manufacture of asbestos products continue to expand and explore possibilities of establishing new plants at different locations in the country. In keeping with the good relations between the government and industry the "Public Private Partnership in India" program of Indian Ministry of Finance, asbestos products manufacturers are listed as their key players. The political patronage resulting from a quid pro quo given the fact that political parties in India do not get state funding for their activities has led to the emergence of asbestos plants in hitherto unexplored areas like Jaunpur in Uttar Pardesh, Mahuwej in Gujarat, Kymore in Madhya Pradesh, Kaladera in Rajasthan, Rewari in Haryana, Mohali in Punjab, Pune in Maharasthra and at several other locations in other states. The industry is likely to see an accelerated growth due to the government’s thrust on the rural housing and sanitation although perceived risk of asbestos is quite wide spread. Government agencies and decision makers are fully conscious of the risks of asbestos exposure. The good relations between the government, manufacturers and asbestos suppliers in the absence of potent political opposition are quit evident. The perceived opposition to the status quo is coming from the left parties that are ruling in states of West Bengal, Kerela and Tripura besides supporting the ruling alliance from outside at the central level. Their compulsion in not banning asbestos in the states where they are in power and in not using sufficient persuasion towards the central government to do so is puzzling. The link between chrysotile asbestos companies, Indian government’s asbestos policy and collaboration between government and industry in matters of asbestos research is quite visible. The government seems to be following the policy of “kill the people, protect the industry”. On its front page, The Times of India (21 Jun 2007) reported “Asbestos lobby to study health hazards” illustrating the incestuous relation between the industry, ministry and the only research institute that has the power to certify cases of asbestos victims. Of late, it has become quite explicit that NIOH, a key scientific establishment has unequivocally taken a pro-white asbestos position unmindful of glaring evidences. Keeping with this trend Indian government has done a volte-face by signaling its plans to lift the present ban on mining of asbestos of all kinds. On November 27, 2007, Union Minister of State for Mines, Dr. T. Subbarami Reddy informed the Lok Sabha, "A study has been conducted by the Indian Bureau of Mines (IBM) regarding the likely effects on the health of the labourers engaged in the mining of asbestos. The Study recommended imposition of safeguards on pollution level in work environment and other remedial measures." Dr. Reddy in a written reply said, "Recommendations of the Study have been examined in consultation with all stake holders. Some stakeholders have suggested that asbestos mining can be permitted with appropriate safeguards. At present the ban on mining of asbestos has not been lifted." This is a culmination of a debate that began in 1998 when the Union Ministry of Mines and Minerals asked the IBM to assess the feasibility of lifting the ban on expansion of asbestos mining after assessing pollution levels in asbestos mines and processing plants in Rajasthan and Andhra Pradesh. Indian government’s position is dependent on Russian Federation and Canada who inappropriately cite the Asbestos Convention of 1986 adopted by International Labour Organisation (ILO) feigning insincere ignorance about the June 14, 2006 resolution of ILO that called for the elimination of asbestos. The manifest support the asbestos industry appears to enjoy from the ruling left front supported United Progressive Alliance (UPA) quite like the previous government of Bhartiya Janata Party led National Democratic Alliance (NDA) seems illustrative of an unhealthy political consensus. All this is happening as part of policy campaign by the industry to re-write science by attempting to discredit the past research done by the leading scientific institutes that continues to contradict the government's push to lift the ban and continue its use. Dr Qamar Rahman, a senior scientist formerly with ITRC, and Dean, Research & Development, Integral University, Lucknow who did the research says that on the basis of the report and recent studies conducted in the milling units, the ban on asbestos mining should not be lifted. She notes that mining and processing are the part of each other and conditions need to be improved at both the places simultaneously. "In the milling or grinding area fibre concentration is very high, workers do not use gloves, masks and protective clothing. They use primitive manual way for grinding," she says, alarmingly. The housekeeping in the units are also very bad. At the moment unauthorised mining of asbestos is going on in Rajasthan and workers are heavily exposed. If the ban will be lifted conditions will further deteriorate. Keeping in view the above facts the ban on asbestos mining should not be lifted," wrote Dr Rahman in her comments to the central government on a report regarding lifting the ban on asbestos mining. The government chooses to ignore such suggestions in the same way as it has ignored the plight of victims of white asbestos mines in Roro Hills, Chaibasa, Jharkhand abandoned by Hyderabad Asbestos Cement Products Limited (now known as Hyderabad Industries Limited). Union Ministry of Mines and Minerals is all set to lift the existing ban on asbestos mining. It is ignoring the views of exposure victims, informed recommendations of public sector medical experts, and mounting evidence of an asbestos disease epidemic emerging in developed countries. The rationale to permit mining is hollow. 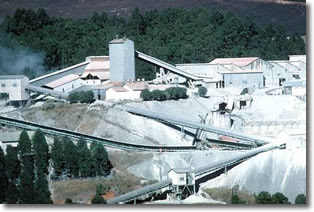 White asbestos mining is currently banned in India, its import, export or use in manufacturing is permitted. Although Centre of Indian Trade Union and All India Trade Union Congress have called for ban on asbestos and have also written to the Prime Minister. It is not difficult to comprehend as to why the entire political establishment wears blinkers when it comes to acknowledging the fact that currently some 45 countries including Europe have banned all forms of asbestos including chrysotile (white asbestos) due to health hazards. With asbestos firms being owned by politicians or the state itself, the government seems to be following a classic ostrich policy. 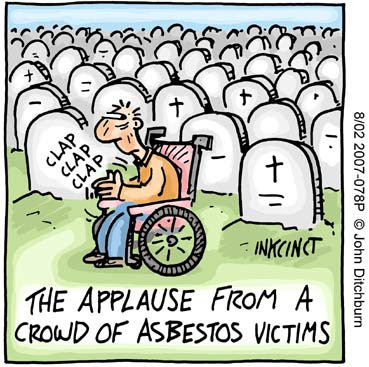 The reality is that the country's most powerful parliamentarians bless the asbestos industry. "Research has found that needle-like crystals permanently penetrate the lung tissue when dust-sized particles of asbestos are inhaled. The crystals can eventually cause scarring of the lungs, called asbestosis, and can cause cancer of the lining of the lung, called mesothelioma. Both diseases are incurable and terminal." In such a situation it is inexplicable as why discredited and false claims of 'safe use' of asbestos by the industry is being parroted by Namo Narain Meena, the Minister of State for Environment saying, "No complaints have so far been received regarding its carcinogenic content and its hazard to health and environment." This is stark contrast to Ministry' own admission in the Supreme Court that 16 % of the workers exposed are suffering from asbestos related diseases. Such stances betray the fact that the UPA government supported by left parties have succumbed to pressures from asbestos industry comprising of Visaka Industries, Hyderabad Industries Limited, Ramco Industries Limited, Utkal Industries Ltd, Everest Industries Ltd, New Sahyadri Industries Ltd, U P Asbestos Ltd, Tamil Nadu Cements Corporation Limited, Kerala Asbestos Cement pipe Factory Limited, Sturdy Industries Ltd, Shakti Roofings Ltd, Assam Roofing Ltd, A Infrastructure Ltd. and others who have been lobbying with the help of Chrysotile Asbestos Cement Products Manufacturers' Association, a corporate NGO and Asbestos Information Centre, a corporate NGO both are affiliated to multinational asbestos producers through International Chrysotile Association. In India, asbestos is used in construction industry in industrial buildings of all types, food storage godowns, warehouses and cold storage godowns, poultry farms, dairy farms, houses, garages, school buildings, public utility sheds, cooling towers, railways and bus stops and in coastal & hilly areas for houses, etc. India comprises of twenty-eight states and seven union territories. The states and territories are themselves further subdivided into 604 districts. The asbestos industry in India is spread over in about 15 states. In India, asbestos occurs in the states of Andhra Pradesh, Rajasthan, Bihar, Karnataka, Tamil Nadu and Manipur. The state of Rajasthan has the world’s largest asbestos deposits of amphibole mostly tremolite. There are some states, for instance Assam, UP, and Tamil Nadu, where the state governments run asbestos factory units. Documents unearthed under the Right to Information Act reveals how the industry added Rs. 16 lakhs to the Government's Rs. 44 lakhs to commission a study by National Institute of Occupational Health (NIOH) to "specifically indicate how technology has made working conditions [in asbestos factories] better." The Industry-Ministry study is titled Implementation of Rotterdam Convention on Prior Informed Consent Procedures - Study of Health Hazards/ Environment Hazards Resulting from the Use of Chrysotile Variety of Asbestos in the Country. Chrysotile is popularly known as white asbestos. It is noteworthy that the information gained using Canadian Right to Information corroborates the same. The Information Commissioner of Canada informed, “Canada is working with other countries to promote chrysotile asbestos. The Indian government has worked diligently in cooperation with the Indian Asbestos Information Centre (AIC) and the Canadian Asbestos Institute.” Canadian High Commission in India says, “A ruling which states that subjecting a worker to asbestos is a violation of human rights could have far reaching consequences whether or not it is binding". It is noteworthy that Indian Government consults and trusts this very AIC in matters related to continued use of chrysotile. This study that has now been exposed through the Right to Information Act is supposed to be presented at the next meeting of the Chemical Review Committee of the Rotterdam Convention in March 2008 to rationalize its third veto against the UN action on white asbestos. It will also form the basis for India's domestic policy on continued use of asbestos. The next conference of the Parties to the Rotterdam Convention will be held from 27 to 31 October 2008 in Rome. Chrysotile asbestos will be on the agenda of Fourth Conference of Parties (COP-4) as was agreed at COP-3. This treaty that is a result the efforts of United Nations came into force in February 2004. The text of the Convention was adopted in Rotterdam, the Netherlands. Indian government irrespective of the ruling party has consistently colluded with asbestos interests. The COP-3 of Rotterdam Convention held in Geneva, Switzerland in October 2006 failed to bring Prior Informed Consent (PIC) Treaty to apply to chrysotile (white asbestos), a known human carcinogen that represents 94 per cent of world’s asbestos. The Indian delegation comprised of Brig. A K Sethi, Executive Director of the Asbestos Cement Products Manufacturers Association making Indian delegation, the only one with industry representatives sitting with the official delegation. Although 95 per cent of the countries sought its inclusion, the COP-3 failed to list this and the decision to include it has been proposed in COP-4 in 2008. The Indian delegation has consistently argued that the science behind the recommendation to list chrysotile asbestos was not categorical. It claimed that India was in the process of studying on the hazards of pure chrysotile. The minutes of the Review Committee obtained recently through Right to Information Act dated 19 December, 2006 reads: "The report will be finalised after due discussions with the asbestos industry." Another meeting minutes dated 18 April, 2007 reports that "...the results of the study which was underway could not be shared [with public] till the same was finalised." Clearly, a scientific study that is finalised after discussion with the corporate interests is grossly conflict of interest ridden and deserves to be scrapped. Out of several million workers exposed to asbestos in India, less than 30 have been compensated so far. The reasons for such a small number are: refusal by management sponsored studies to grant medical certifications to workers suffering from occupational diseases, lack of training for doctors in diagnosis of occupational lung diseases, deliberate misdiagnosis by doctors of asbestosis as either chronic bronchitis or tuberculosis and the inherent class bias of middle class doctors against workers. Meanwhile, the asbestos roofs in the national capital at the New Delhi Railway Station are being dismantled indiscriminately and new alternate roofs being constructed in an effort to make New Delhi, India first asbestos free railway platform. One can see pieces of asbestos strewn around. This underlines that while ban on asbestos is a must, safe removal of asbestos from buildings and other places would be long drawn and arduous process besides the compensation and rehabilitation of asbestos victims. Inspectors and the International Ban Asbestos Secretariat, issue the following declaration. elimination of diseases caused by asbestos; to promote social justice for those affected by asbestos. forms of asbestos and asbestos-containing materials as soon as possible. Recommendation 172 as a minimum standard not to be fallen below. Canada, Russia, Khazakstan, China and Brazil. implement the objectives outlined herein. MPCB says, "Exposure to Asbestos can lead to Cancer"
Q. What is Asbestos ? Asbestos is the name given to a number of naturally occurring fibrous silicate minerals that have been mined for their useful properties such as thermal insulation chemical and thermal stability, and high tensile strength. Asbestos is commonly used as an acoustic insulator, for thermal insulation, fire proofing and in building materials. Asbestos fibers are strong and have properties that make them resistant to heat. It is often found in ceiling tiles, pipe and vessel insulation, blown on to structural beams and ceilings, and in floor tiles. The term asbestos is derived from a Greek word meaning “inextinguishable, unquenchable or inconsumable”. It is a generic name for a group of fibrous silicate minerals. Q. How many different types of Asbestos are there ? There are usually six different types of asbestos that are found in commercially manufactured products Chrysotile, also known as white asbestos is the commonest while amosite ( Brown asbestos ) and crocidolite ( Blue Asbestos ) are the other common types of Asbestos. It is naturally occurring and deposits can be found in most countries around the world. Most as Asbestos comes from the former Soviet Union, Canada (White Asbestos ), South Africa ( Brown Asbestos ), and Australlia ( Blue Asbestos ). Q. How do we make products from Asbestos ? 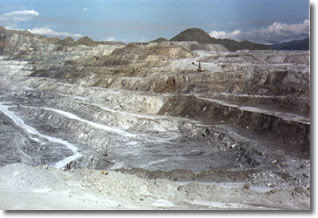 Asbestos is mined from the ground usually by open cast method. The raw material is very coarse and looks much like old wood. It is them processed and refined into fluffy fibers. The fibers are then added to some fro of binding agent like cement to form an asbestos containing material (ACM). Asbestos cement contains between 10-15% asbestos fibers. Q. Why is a Asbestos is Hazard ? Asbestos is made up of microscopic bundles of fibers that may become air borne when distributed. These fibers get into the air and may be inhaled into the lungs, where they may cause health problems. Medical statistics indicate the more asbestos fibers you inhale the greater the risk of developing a disease. There is no indication yet of a sage amount of exposure. Q. What are the diseases that can be caused by exposure to asbestos ? Asbestos is a lung disease first found in naval shipyard workers. As asbestos fibers are inhaled, they may get trapped in the lung tissue. The body tries to dissolve the fibers by producing an acid. This acid , due to chemical resistance of the fiber, but may scar surrounding tissue. Eventually, this scarring may become so severe that the lungs cannot function. The latency perod (the time it takes for the disease to become developed) is often 25-40 years. Mesothelioma is the cancer of pleura (the outer lining of the lung and chest vavity). This form of cancer is peculiar because the only known cause is from asbestos exposure. The latency period is often 15-30 years. Lung cancer can also be caused by asbestos and the latency period is 15-30 years. Q. When is asbestos a hazard ? Asbestos is not always an immediate hazard. It’s only when asbestos containing materials are disturbed or the materials become damaged that it becomes a hazard. When the materials become damaged, the fibers separate and may then become airborne. Q. What has been status of litigation with respect to Asbestos ? Most uses of Asbestos are banned in many countries, especially the West. In the US, asbestos was one of the first hazardous air pollutants to be regulated. One estimate says that, in the 20th Century more than 100 million Americans were exposed to asbestos in the workplace. Today, lawsuits claiming that asbestos caused plaintiffs have so far run into tens of billions of dollars for expenses, settlements and judgments. Over 70 corporations have filed chapter 11 bank ruptcy in the face of heavy liability claims. 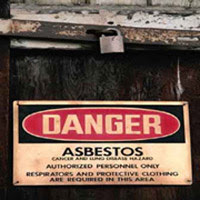 Since, the late 1970s 6% of all filling in American courts each year were related to asbestos. But it is also believed by many that asbestos litigation in a lot of cases is fraudulent. A study found that less than half the money spent on asbestos litigation went to injured parties, as opposed to attorneys fees and administrative costs. Note: Asbestos Roofs deteriorate, the asbestos surface accumulates Lichen. Over the period of time the Lichen affects the Asbestos Sheets, causing the surface to be unstable, allowing asbestos fibres to become airbourne. Government, industry and now the institutions like NIOH, Ahmedabad and Industrial Toxicology Research Centre, Lucknow will have citizens believe that these airborne fibers can be controlled and used safely in India although 45 countries have failed to do so and have banned it. New Delhi, Feb. 6: The ministry of chemicals and fertilisers is attempting to tamper with a study on the safety of white asbestos, a material widely used in India but banned by 40 countries because of health hazards, environmental groups have alleged. Using documents retrieved under the Right to Information Act, the Ban Asbestos Network of India (BANI) and other groups have claimed that the ministry is trying to influence the study to maintain its position that asbestos should continue to be used in India. Over 90 per cent of the material is used in asbestos-cement pipes, flat sheets and corrugated roofing sheets. The rest goes into brake linings, pads and industrial gloves. India has about 30 companies producing asbestos materials. “The ministry of chemicals and fertilisers is colluding with the asbestos industry to influence the findings of safety studies,” said Madhumita Dutta, an environmental activist based in Chennai who had filed the application under RTI seeking study documents. A senior official in the ministry involved in a review of the study declined to respond to the allegations. The ministry had asked the National Institute of Occupational Health (NIOH), Ahmedabad, to conduct a study on the health hazards of asbestos by examining workers in the asbestos industry. But the findings are being vetted by the ministry as well as industry representatives before they are either peer-reviewed by independent scientists or made public, Dutta said. In an asbestos company in Calcutta, the NIOH reported 32 per cent lung abnormalities among a set of workers. But the institute was asked to justify the abnormalities and indicate whether they are because of asbestos or from other factors. At a meeting on April 14, 2007, a review committee set up by the ministry had decided the report “will be finalised after due discussions with the asbestos industry”. The committee also said the report “will specifically indicate as to how technology has made working conditions better... and include relevant photographs showing protective measures undertaken”. “The ministry wants to influence the findings of this study to shape domestic policy on asbestos,” said Gopal Krishna, an activist with the Ban Asbestos Network of India. India uses tens of thousands of tonnes of asbestos annually, most of it imported from Canada or Russia. Medical studies suggest that many years of exposure to asbestos dust can cause life-threatening lung disease. Public health organisations have long been urging the government to ban asbestos. But industry organisations have been campaigning to highlight the advantages of asbestos products and asserting that well-managed use of asbestos does not pose health hazards. 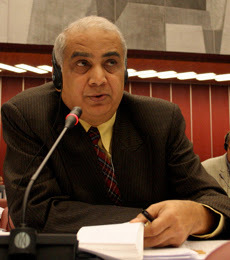 Naresh Dayal, Special Secretary, Ministry of Environment & Forests (currently Union Health Secretary)led this delegation that played a significant role along with a few other countries including Russia, Canada, Ukraine and Kazakhstan to stop the listing of chrysotile asbestos, a highly toxic material, into the Prior Informed Consent (PIC) List of the Convention. Inspite of 95 per cent of the countries demanding that this material be included, and the Chemical Review Committee (CRC) of the Convention going through a detailed scientific review process, to recommend its inclusion, the COP-3 failed to list this and deferred the decision to the next COP-4 in October, 2008 in Rome. 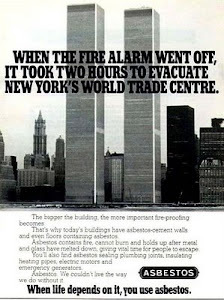 This was dicated by economic motives of white asbestos industry. This was an unprecedented setback to this much-regarded global environmental regulatory initiative. "Govt, industry under fire for fudging data ," according to LiveMint, the Wallstreet Journal. Brig. A.K. Sethi, executive director of Asbestos Cement Products Manufacturers Association (ACPMA) and Asbestos Information Centre denied its contribution. Sethi is also a member of ASBESTOS FIBRE REINFORCED CEMENT PRODUCTS SUBCOMMITTEE of Bureau of Indian Standards, Union Consumer Affairs Ministry. This committee is dominated by asbestos industry including A Infrastructure Limited, All India Asbestos Cement Pressure Pipe Manufacturers Association, Eternit Everest Limited, Gujarat Composite Limited, Hyderabad Industries Limited, National Council for Cement and Building Materials, National Institute of Occupational Health (NIOH), Ramco Industries Limited and Sri Venkateswara Pipes Limited along with gullible and docile government agencies. "NIOH is an autonomous body. Their credibility is well established. Studies by Central Labour Institute say clearly that there is no link between asbestos and lung impairment," insisted Sethi. This is far from the truth. Though there are alternatives to white asbestos, such as cellulose fibres, carbon fibres and polyvinyl alcohol, or PVA, it is not used much in India. "The countries which have banned asbestos use the alternatives," said Ashim Roy of New Trade Union Initiative. Sethi, however, said that the same qualities cannot be found in other substances. NEW DELHI, FEBRUARY 5: Labour unions and NGOs on Tuesday alleged that a government study on better working conditions in asbestos factories was partially funded by the asbestos industry itself. Addressing a press conference here, activist Madhumita Dutta said the documents obtained by her through the Right to Information Act reveals that the asbestos industry in the country added Rs 16 lakh to the government's allocation of Rs 44 lakh for a study by the National Institute of Occupational Health (NIOH) to "specifically indicate how technology has made working conditions (in asbestos factories) better." Demanding a ban on asbestos including chrysotile asbestos, like the one imposed by 40 countries across the world, the 13 labour unions and NGOs released a dossier, "A Fox in the Hen House: Made-to-Order Science and India's Asbestos Policy". "The Government is conducting the study merely to justify its position that asbestos does not pose an unmanageable risk," said Dutta, adding that the industry was trying to use "manufacturing science to back its pre-determined position to fight global regulation on the hazardous fibre." The group quoted a WHO study which estimates that 125 million people are exposed globally to all forms of asbestos. "The made-to-order study, partly funded by the asbestos industry, is being tweaked by a review committee some of whose members are representatives of asbestos industry," the activist alleged. The unions alleged that the industry was being consulted by the Government at every step and the study would be presented at the next meeting of the Chemical Review Committee of the Rotterdam Convention in March 2008 to rationalise its third veto against the UN action on white asbestos. The minutes of the Review Committee dated December 19, 2006 reads: "The report will be finalised after due discussions with the asbestos industry." Another meeting minutes dated April 18, 2007 reports that "...the results of the study which was underway could not be shared (with public) till the same was finalised." "Clearly, a scientific study that is finalised after discussion with the corporate interests is grossly conflict of interest ridden and deserves to be scrapped," said Gopal Krishna of Ban Asbestos Network of India. India, Canada and Russia are the three countries opposing the ban and restriction on asbestos trade at the Rotterdam Convention, a multilateral agreement promoting open exchange of information on hazardous chemical trade, including proper labelling and informing buyers of any known restrictions or bans. According to the documents, a letter from the department of chemicals and petrochemicals to the director of the National Institute of Occupational Health (NIOH) in 2006 states that the study should include "generation of data, which would justify the safe standards of its usage as also the reasons/rationale justifying its non-inclusion/or otherwise in the Prior Informed Consent (PIC)". Under the Rotterdam Convention, an item in the PIC list would require the exporting country to inform its clients on the hazardous nature of the commodity. Ministry officials were not available for comment. The ministry commissioned NIOH to conduct the study in 2004 in light of the proposed inclusion of chrysotile asbestos, the so-called white asbestos, in the PIC list of the convention, which was recommended in 2005 and 2006. As many as 13 labour unions and NGOs released a report alleging nexus between the government and the industry. “The World Health Organisation has got the reports. The reports say that all sorts of asbestos, including the white type called Chrysotile asbestos is one of the most toxic and widely used in India and some other developing countries,”they said. Environment watchdogs have long been up in arms against the use of asbestos in the country, considering that all forms of asbestos, including chrysotile, have been classified as carcinogens by the International Agency for Research on Cancer. Alarmed that an estimated 100,000 workers die every year due to the diseases caused because of exposure to asbestos, environmental groups demanded that a complete ban be placed on the use of asbestos in India. More than 40 countries have banned the use of chrysotile asbestos in any form, owing to the occupational health hazards. India and six other countries alone are opposing the inclusion of chrysotile asbestos in the list of hazardous chemicals. Chrysotile accounts for 95 percent of asbestos usage worldwide. India’s ship breaking industry is the most vulnerable when it comes to asbestos exposure. The labourers, a majority working on daily wages, are often exposed to toxic wastes in the process of dismantling of ships. As per the latest data released by the UN Statistics Division, India imported about 306,000 metric tones of asbestos in 2006, of which 152,820 metric tones was imported from Russia and 63,980 metric tones from Canada. OTTAWA — In the Indian state of Jharkhand, hills emerge sporadically from the rural jungle. In the middle of the lush green setting, children grab makeshift toboggans and head to the surprisingly snow-capped Roro Hills. They slide down a fluffy hilltop to squeals of delight. Twenty years ago, they mined chrysotile asbestos here - a “soft” form of asbestos that some say can be mined safely, with proper regulation. When workers started getting sick, they shut the mine down. In the company’s rush to leave, they forgot the toxic playground they left behind. Two decades have passed, many people have died, even more are sick. The large pile of asbestos has seeped into everything, poisoning the water, the ground and the people in the tribal hamlets. There’s no way of knowing how many are sick because there aren’t any statistics. This is a rural area. The doctors here are not trained to diagnose occupational health diseases and cannot access electricity, let alone X-ray machines. Asbestos-caused cancers like mesothelioma and asbestosis go by a different name here. Tuberculosis. Indian Ministry of Chemicals and Fertilisers commissioned the National Insti-tute of Occupational Health (NIOH), a premier research institute under the Indian Council of Medical Research (ICMR), to conduct a study titled Implementation of Rotterdam Convention on Prior Informed Consent Procedures- Study of Health Hazards / Environment Hazards resulting from use of Chrysotile Variety of Asbestos in the country. The study was commissioned in 2004 in the light of the proposed inclusion of chrysotile (popularly known as white asbestos) in the Prior Informed Consent (PIC) list of the Rotterdam Convention, which was recommended in 2005 and 2006 by the Chemical Review Committee of the Convention. On the face of it, the Government’s decision to base its position on science is laud-able. However, documents obtained through the Right to Information (RTI) Act reveal that the Government is conducting the study merely to justify its position that white asbestos does not pose an unmanageable risk. The made-to-order study, partly funded by the asbestos industry, is being tweaked by a review committee some of whose members are representatives of the asbestos industry. At no point in the study will members of public, workers’ organizations or in-dependent physicians be allowed to comment. Asbestos Institute.” Canadian High Commission in India says, “A ruling which states that subjecting a worker to asbestos is a violation of human rights could have far reaching consequences whether or not it is binding". It also notes, “AIC is of the belief that problems with safe use of asbestos will arise in the unorganised sector. These include small manufacturers who cannot afford to either install the equipment necessary to safely use asbestos or invest in the health needs of their workers.” AIC accepts that “unorganised sector does use imported products that they acquire through agents.” It is noteworthy that Indian Government consults and trusts this very AIC in matters related to continued use of chrysotile. Information made available shows that Second Secretary (Commercial), Canadian High Commission in India has been in correspondence with Ministry of Environment, Labour, Commerce on asbestos issue. He has arranged bilateral meetings between the Ministers too in the past specifically "to discuss[tongue]romotion of the safe-use of chrysotile asbestos and confirm India's continued market access and policy approach (controlled-use) re chrysotle asbestos". Second Secretary (Commercial) Canadian High Commission in India is quoted as saying, "I realise that Kolkota looks like .....(blackned) but as Kolkota is the real centre of mining in India this where the private participation will be greatest. Equipment manufacturers will be welcomed in Eastern India and getting an audience out will not be a problem. The State of Jharkhand has asked the delegation to stop in Ranchi. I have adivised that this is unlikely but we will be in Kolkata. They seemed keen to travel to this city if this is what will take to meet the delegation. The coal companies can make site visits and the asbestos producers may want to meet with the local infrastructure groups as the use of AC cement is controversial in this state." The High Commission suggested that the minerals/mining group go to Hyderabad before Calcutta. If the use of AC cement is controversial , it may be worthwhile looking as something similar there. 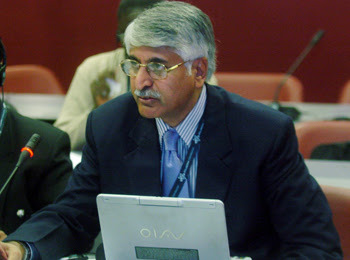 In one letter written by Second Secretary (Commercial) Canadian High Commission in India, he informs, " I met with Brigadier Sethi of Asbestos Information Centre (AIC)..."
He was informed the outcome of the April 11, 2002 meeting where Ban Asbestos Network of India (BANI) was formed. It reads, "Most of the articles have headlines similar to the Times of India story saying that Experts are calling for the banning of asbestos in manufacturing, mining, etc"
"Be advised that the Courts in India are much more interventionist than in Canada. It is entirely possible that the High Court could issue the injunction and stop the use of asbestos. Eventually the matter would reach the Supreme Court but there is no predicting the outcome." The Brigadier also told me that a similar petition has been with the National Human Rights Commission. He does not seem concerned about this because the NHRC is a non-binding body. I advised that a finding stating that subjecting a worker to asbestos is a violation of human rights could have far reaching consequences whether or not the ruling is binding. I think that it may be necessary at some point to prepare an advocacy campaign to counter the arguments of the NGOs"
Documents unearthed under the Right to Information Act reveals how the industry added Rs. 16 lakhs to the Government's Rs. 44 lakhs to commission a study by National Institute of Occupational Health (NIOH) to "specifically indicate how technology has made working conditions [in asbestos factories] better." The Industry-Ministry study is titled Implementation of Rotterdam Convention on Prior Informed Consent Procedures - Study of Health Hazards/ Environment Hazards Resulting from the Use of Chrysotile Variety of Asbestos in the Country. Chrysotile is popularly known as white asbestos. These documents were shared with the media today at the Press Club, Delhi. It is noteworthy that the information gained using Canadian Right to Information corroborates the same. The Information Commissioner of Canada informed, “Canada is working with other countries to promote chrysotile asbestos. The Indian government has worked diligently in cooperation with the Indian Asbestos Information Centre (AIC) and the Canadian Asbestos Institute.” Canadian High Commission in India says, “A ruling which states that subjecting a worker to asbestos is a violation of human rights could have far reaching consequences whether or not it is binding". It also notes, “AIC is of the belief that problems with safe use of asbestos will arise in the unorganised sector. Acknowledging the hazards from asbestos, Anbumani Ramadoss, Union Health Minister informed the parliament saying, "…regarding asbestos, a lot of poor people use it. As regards the issue pertaining to banning of asbestos, as a health issue, the Government certainly has not taken it up. It is an occupational hazard and people working in the asbestos factories are prone to lung cancer, but we are taking the enormity of the usage of asbestos. Mostly, poor people in the villages use it. Hence, I cannot take a decision on this issue." The enormity of usage is no excuse to expose Indian workers and citizens to this deadly fiber. Without amendment in the existing Import Policy by the Union Ministry of Commerce & Industry for white asbestos, the asbestos consumption pattern is unlikely to change. The study that has now been exposed through the Right to Information is supposed to be presented at the next meeting of the Chemical Review Committee of the Rotterdam Convention in March 2008 to rationalize its third veto against the UN action on white asbestos. It will also form the basis for India's domestic policy on continued use of asbestos. As per data released by UN Statistics Division, India imported about 306,000 MT of asbestos in 2006. Of which 152, 820 MT was imported from Russia and 63, 980 MT from Canada. This trend got a boost from Union Finance Minister, P Chidambaram who announced a 15% reduction on custom duties for asbestos in his Budget speech. The rising consumption is a result of a Made-to-order science that gets exposed by the documents that shows how the Union Ministry of Chemicals, acting in collusion with the asbestos industry, is manufacturing science to back its pre-determined position to fight global regulation on the killer fibre by reiterating that 'controlled and safe use' of white asbestos is acceptable both to the white asbestos industry and the Indian government. 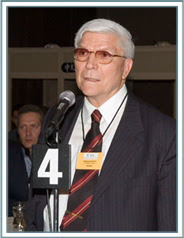 Meanwhile, Dr Barry Castleman, an internationally respected expert on asbestos who was in India in December 2007 commented: “Anyone who says there's a controlled use of asbestos in the Third World is either a liar or a fool.” Dr Castleman is well known for his role in the passage of Ban Asbestos America Act 2007. A Confederation of Indian Industry (CII) survey which tracks the performance of the manufacturing sector, today said that the sector is looking for positive triggers to attain excellent growth rate. The survey done for the nine month period beginning April 2007, as against the same period in 2006, found that although the sectors showing excellent growth has slightly declined, the number of sectors showing high growth has increased in the given period. Of the total 100 sectors reporting production, 15 sectors reported excellent growth rate of more than 20%, a slight decline from the last survey done for the six month period beginning April 2006. Around 30 sectors recorded high growth rate of 10-20%, an increase of 6% from the last survey. Those in the high growth category include asbestos cement, industrial valves, abrasives among others. The percentage of sectors in negative category also declined for the same period. However, percentage of ones showing moderate growth remained unchanged from the last survey. According to the survey automobile industry including motorcycles, three wheelers, continued to remain in the negative sales growth category like the previous survey. An expose has been compiled based on documents obtained through Right to Information Act 2005 which chronicles a blatant attempt by the Ministry of Chemicals and Fertilisers to deceive the international community and lie to the Indian public and parliament about the health hazards of asbestos (chrysotile-white asbestos). The dossier details the truth behind a Government-commissioned piece of “research” entitled: Implementation of Rotterdam Convention on Prior Informed Consent Procedures - Study of Health Hazards/ Environment Hazards Resulting from the Use of Chrysotile Variety of Asbestos in the Country. Corporate Accountability Desk-The Other Media and Ban Asbestos Network of India invites members of the press to the release of: A Fox in the Hen House: Made-to-order science and India’s asbestos policy. Representatives of major trade unions will be addressing the media at the release. The leading producers of asbestos in the world are Russia, Canada, China, Brazil, Kazakhstan and Zimbabwe. Asbestos is the name for a group of minerals that occur naturally in the ground. Bundles of fibers make up asbestos minerals. Three types of asbestos were commonly used to manufacture products. Chrysotile, sometimes called white asbestos, is composed of wavy, flexible white fibers and comprises almost all of the asbestos used in the India. Amosite, sometimes called brown asbestos, is composed of straight, light gray or brown fibers. Crocidolite, sometimes called blue asbestos, is composed of straight blue fibers. Anthophyllite, tremolite and actinolite are three other types of asbestos. They were not commonly used to manufacture products. However, tremolite contamination has been documented in vermiculite attic insulation, and caution should be used when dealing with this material. 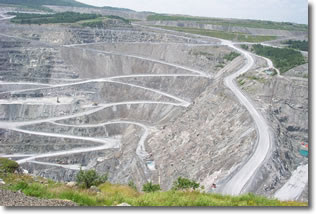 Asbestos is mined out of the ground as an ore from open pit mines. The ore is then processed to extract the fibers from the ore.
Asbestos fibers have special characteristics. Heat or chemicals do not affect them and they do not conduct electricity. Asbestos is also very strong. Asbestos fibers are also very flexible, allowing them to be woven into cloth-like materials. This versatility is why industry has mined and widely used asbestos to make many different products. Why should I be concerned about asbestos? In general, the more asbestos a person is exposed to, the greater the risk of developing an asbestos-related disease. Exposure to asbestos occurs through inhalation of airborne microscopic fibers. Airborne asbestos can be present during renovation and demolition of buildings and building products. Residential and nonresidential buildings can contain asbestos materials. Untrained individuals performing asbestos-related work can expose themselves, other individuals in the building, or their own families by having their clothing or skin contaminated with asbestos fibers. Where can I learn more about asbestos in India? Ban Asbestos Network of India (BANI) has a wide variety of information available to both workers and consumers on this web space .